Before Millennials, Generation X, or the Baby Boomers, was a group of extraordinary individuals dubbed the “Greatest Generation.” Lauded for their grit, determination, and bravery, this generation grew up during the Great Depression and served their country during World War II. Every encounter with a member of this population is an opportunity to learn and to express appreciation for sacrifices many of us cannot even fathom making. One such individual is our Maple Grove customer, Byron. 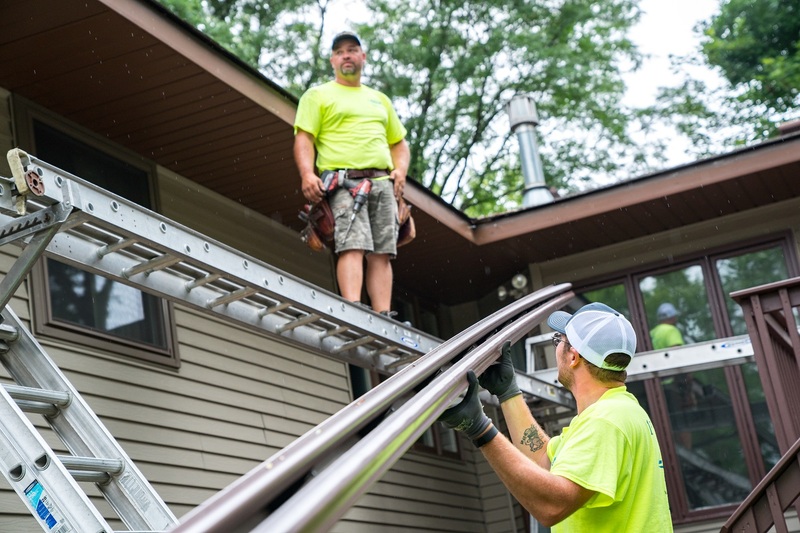 A nonagenarian and a World War II veteran, he had reached out to our company because he wanted an attractive, worry-free, and long-term solution for his home’s gutters. 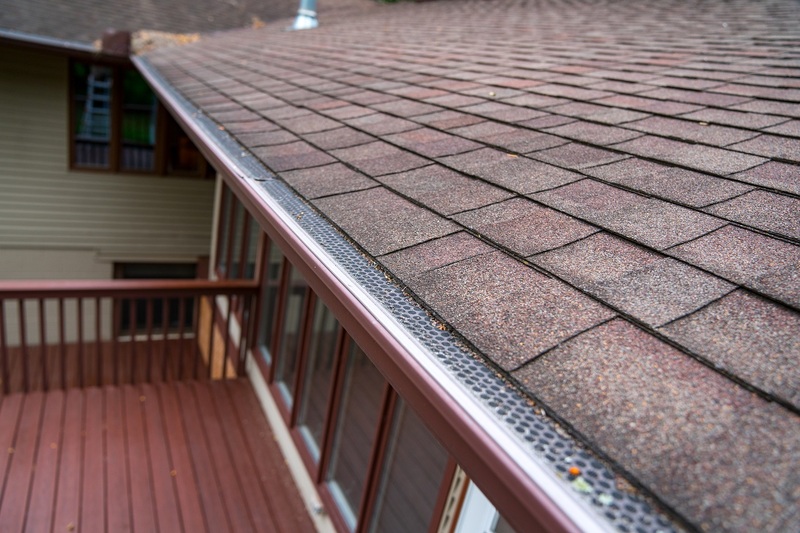 Here’s how LeafGuard® Brand Gutters were able to remedy the situation. 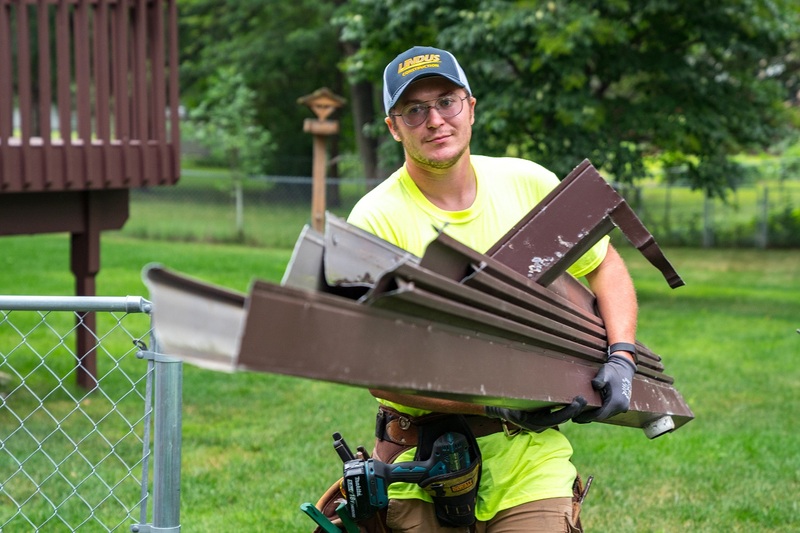 Completely Customizable: Each gutter installation completed by our team is tailored to the home the gutters are being installed on, while honoring the homeowner’s preferences. 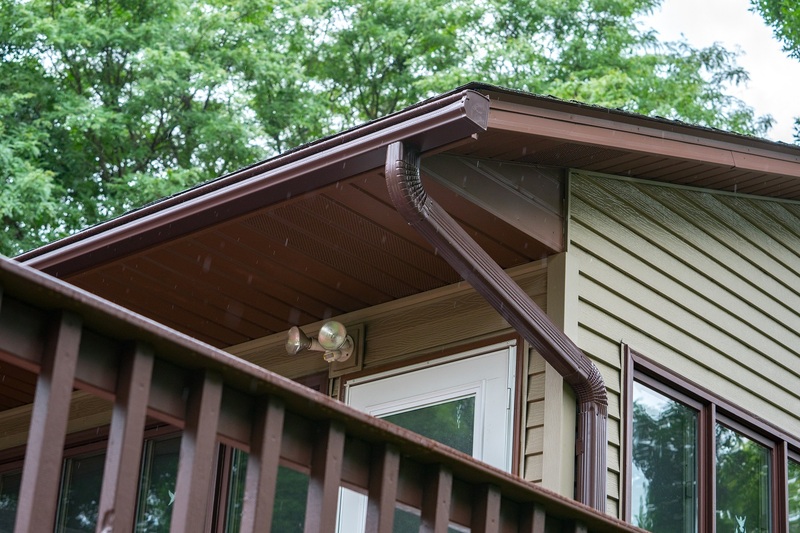 The shade of brown Byron selected for his LeafGuard® gutters fit well with the home’s siding, window wraps, soffit, and fascia. 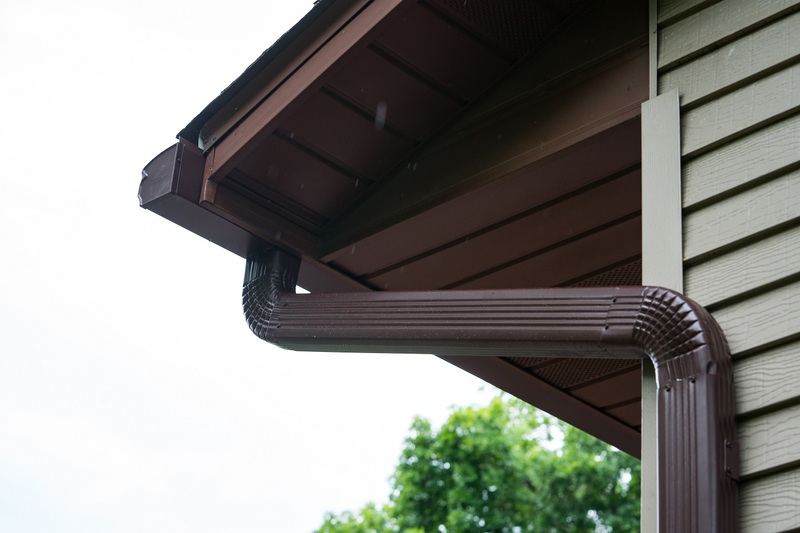 Homeowners that choose LeafGuard® for their rain gutter installation also have the ability to select downspout length and location. In one area of Byron’s deck, a pass through was installed so that water could properly be filtered away from the home. Clog-Free: The towering trees that surrounded Byron’s home were an attractive feature. However, they routinely clogged because the gutter screens were no match for the organic debris falling from stately trees in Byron’s yard. When it came time to remove the old system, the screens were nearly opaque. The gutter troughs were repugnant because of the partially decomposed leaves and twigs that hadn’t been able to filter out. 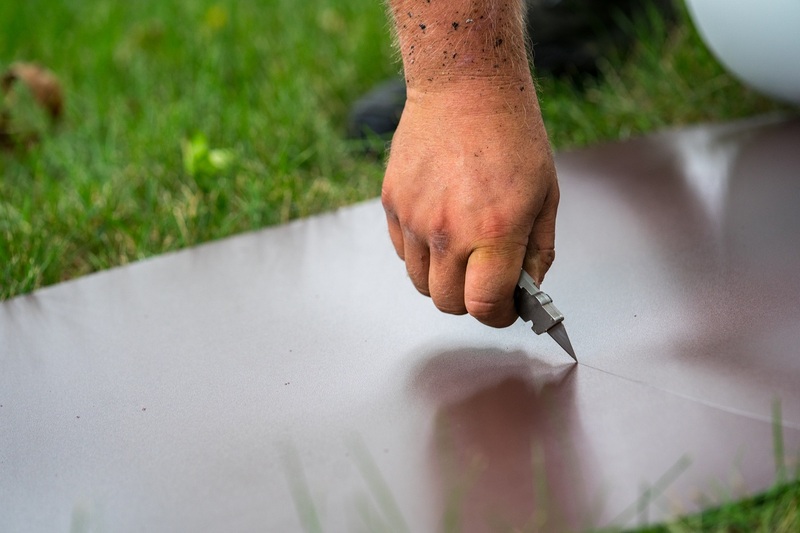 However, through the installation of LeafGuard® Brand Gutters, these issues will be a thing of the past. 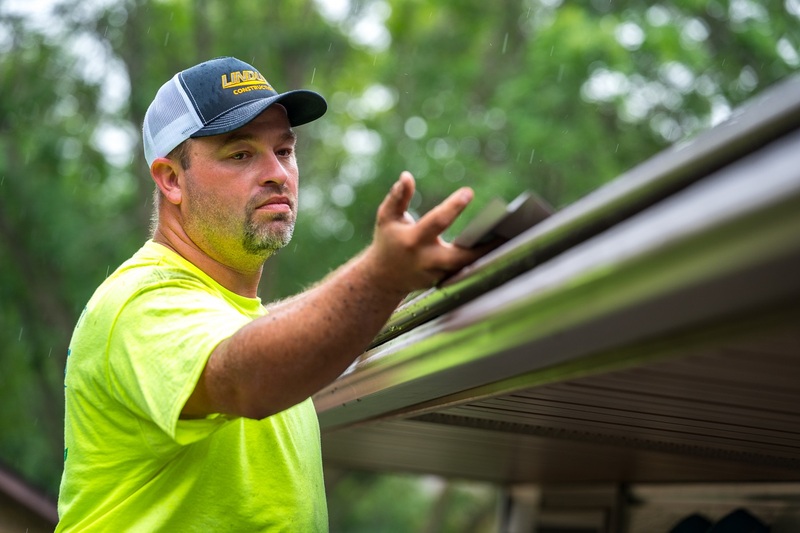 Better than even the best gutter guard on the market, they are the patented, one-piece system guaranteed to never clog or we clean them for free. Not only does this warranty apply to Byron, but if he ever opts to sell his home, the warranty transfers to the next owner. 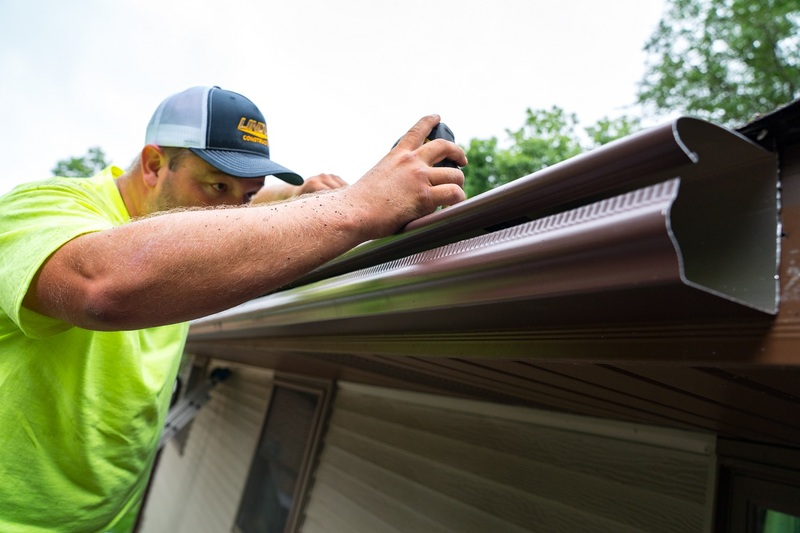 One Piece-Seamless: Unlike rain gutters with screens, LeafGuard® is comprised of a single piece of aluminum so there’s no worry of trying to color match the top and bottom pieces. 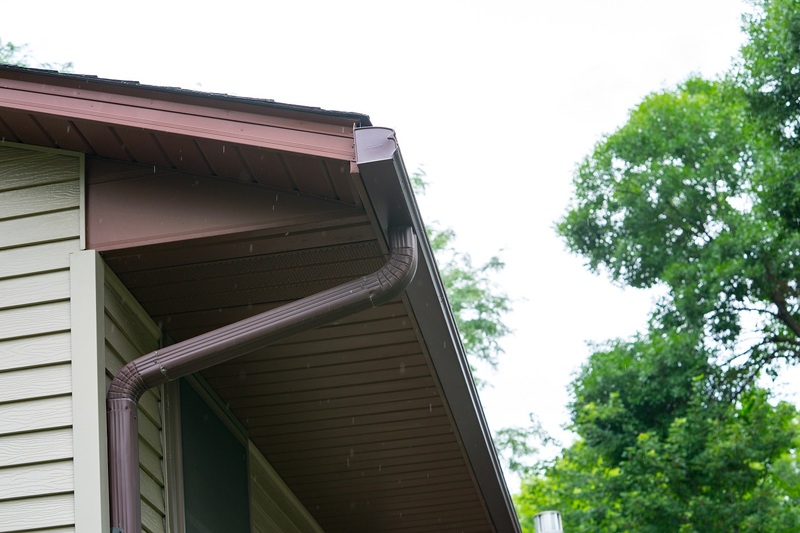 Seams on gutter systems eventually weaken over time, resulting in rainwater gushing towards a home’s foundation and landscaping. 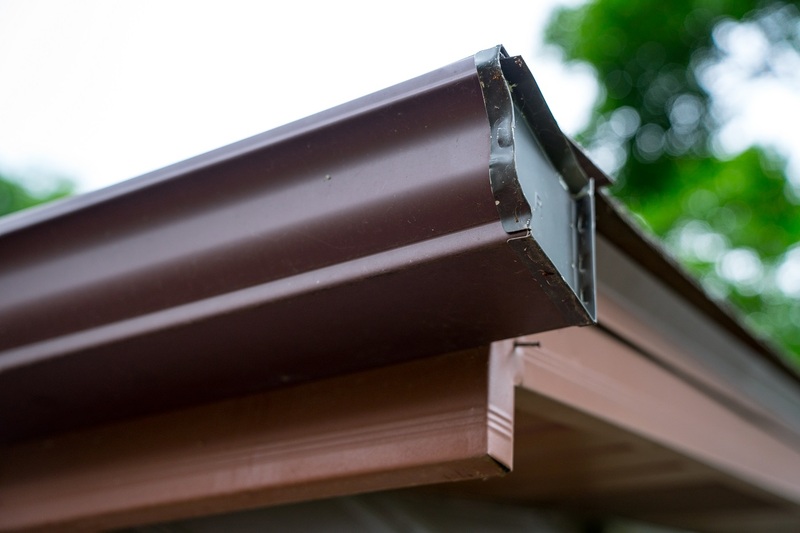 This is why those that patented the LeafGuard® Brand Gutter System opted for a seamless design. 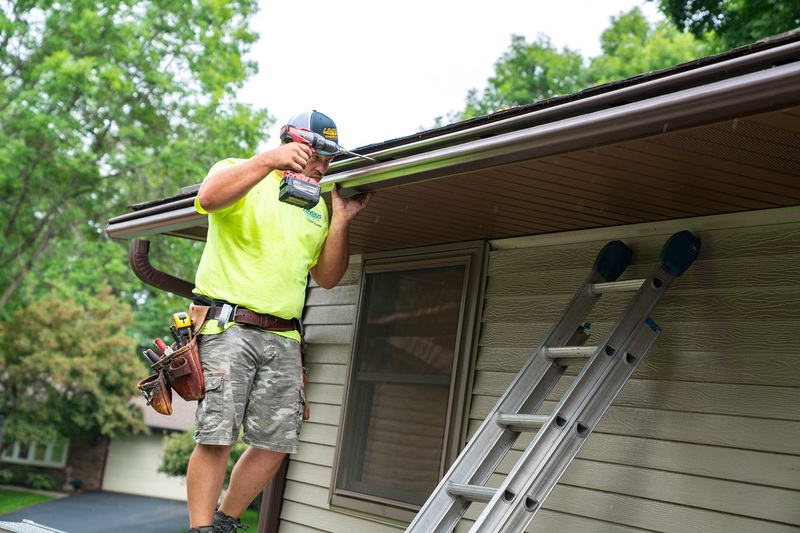 Lengths are custom cut to the home’s dimensions ensuring an optimum fit with each gutter installation. 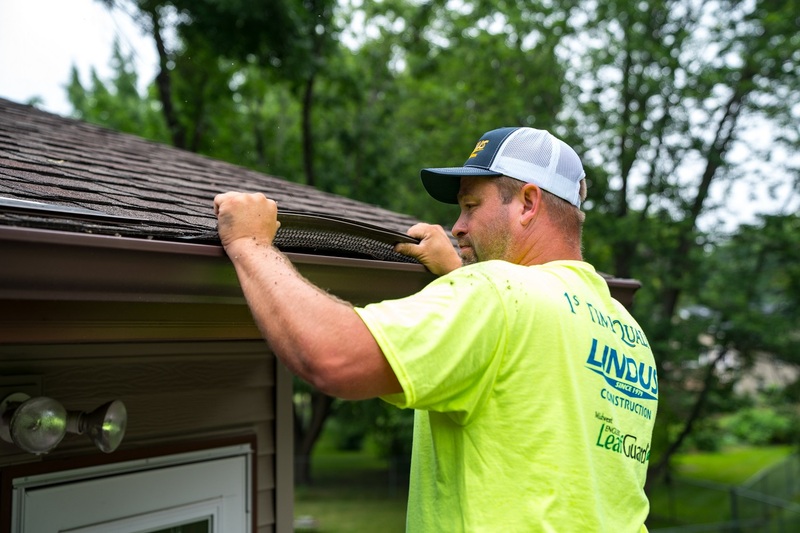 In a matter of a few hours, our team was able to install new LeafGuard® gutters on Byron's home. The previous gutters had screens that were ineffective. Here's a close-up of the gutters prior to removal. Our technician carefully removing the old gutters. Byron's old gutters were full of organic debris. The old gutters will be recycled. Our installer removing the drip edge. Fastening brackets inside the gutter. Verifying measurements for the custom flashing. Double checking the slope of the new gutters. Cutting the aluminum coil for this project's custom flashing. Installing the custom flashing which will prevent water intrusion behind the gutters. Custom cutting the downspout and using a drop cloth to collect metal shavings. 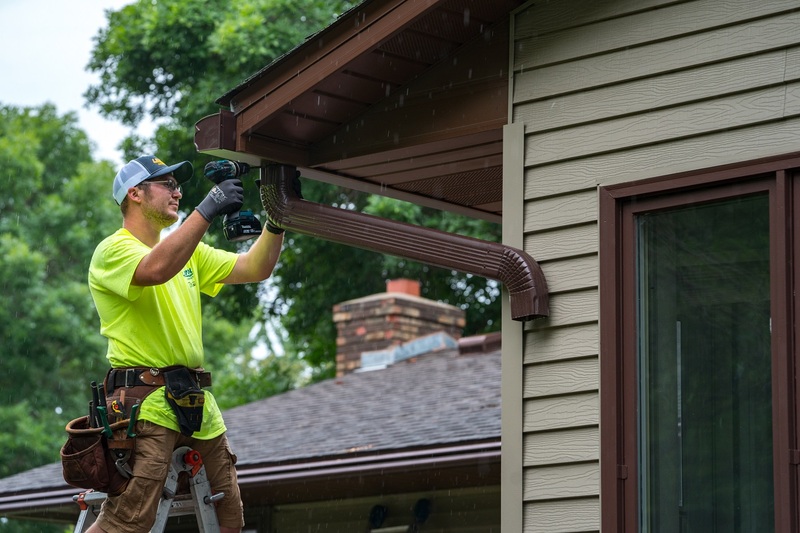 Fastening the downspout to the custom gutter opening. Brown LeafGuard® gutters were used on this project. 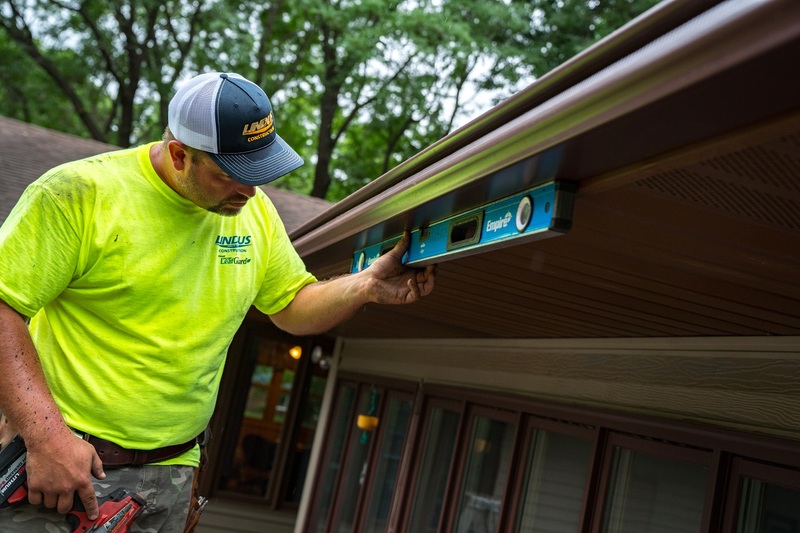 LeafGuard® gutters are certified to handle over 32 inches of rain in an hour. 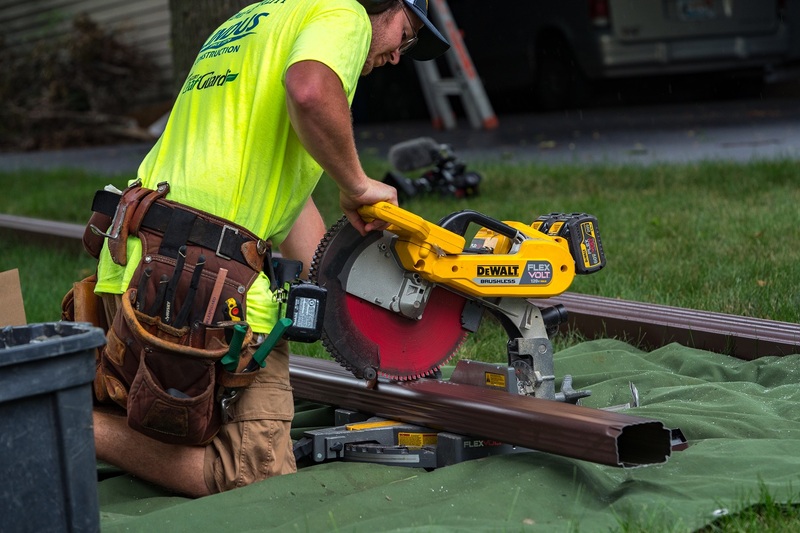 LeafGuard® gutters have earned the Good Housekeeping Seal of approval. 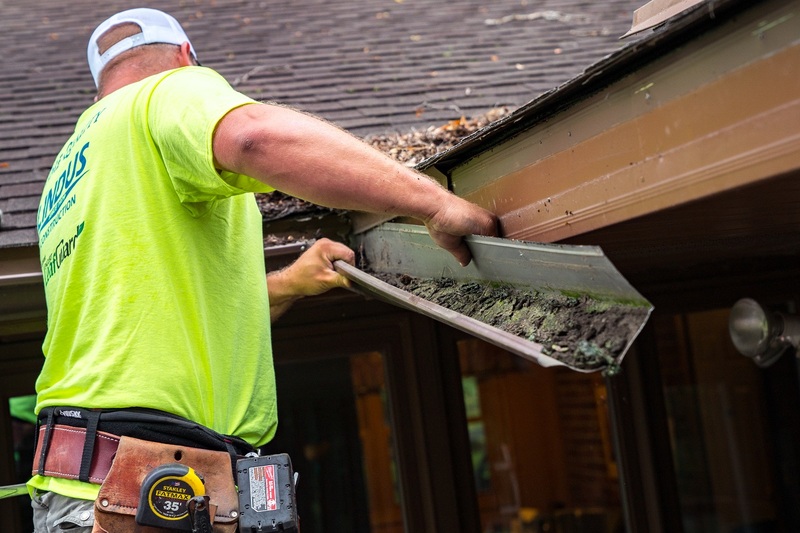 "I was shopping online for a long lasting gutter solution for my home and found Lindus Construction who was offering a lifetime clog free guarantee. I met with salesperson, Chris. He gave me a reasonable quote & they stuck with their installation dates. It looks smooth & professional. They where exactly on time." - Glenn R.
"Excellent and very knowledgeable sales and installers. 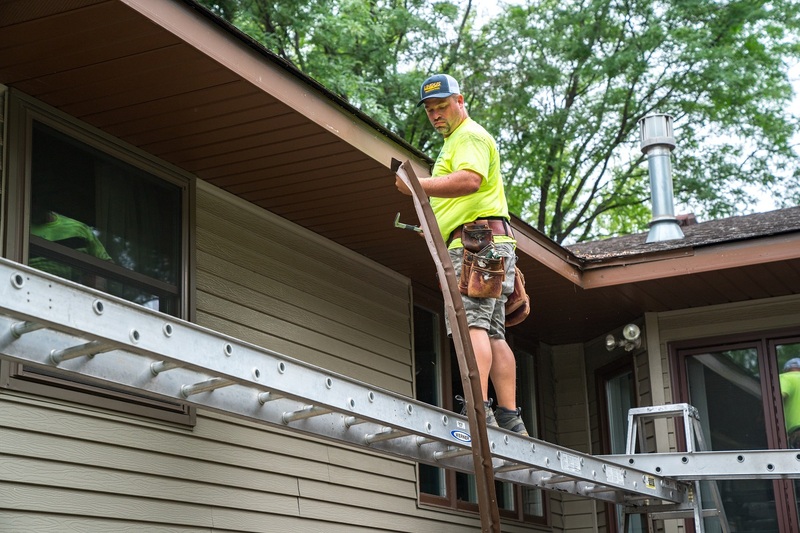 We are more than satisfied with our new gutters!" - Carolyn P.
"Service was GREAT. Looks terrific." - John Z. "I would give you an A for the job scope and installation." - Jim S.